If you have a small or medium-sized business, one of your biggest challenges is keeping your finances organized. This is important throughout the year but is especially crucial during tax season. The best approach is to have a system in place so that when you need financial information it’s easy to access. Here are some finance management tips to help you stay organized. One of the most vital finance tips to consider is planning ahead. To compete in today’s fast-paced world, you have to plan not merely weeks and months but years into the future. This includes your inventory, new products and services you want to release, marketing, customer service and other areas. If you’re aware of the costs and likely profits from your future actions, you’re in a better position to make the right decisions. Your projections will never be 100 percent accurate but planning still gives you an edge. Cloud computing makes it more convenient to store your financial information. It lets your employees, partners and accountant access any necessary information from any location. The Cloud provides more flexibility than keeping your data on a desktop. Software as a Service or Saas tools provide businesses with many advantages for managing their finances. However, with so many tools on the market and new appearing all the time, it’s important to choose the software that’s best for your business. Consult with your accountant and other experts in your business to make the right choices. 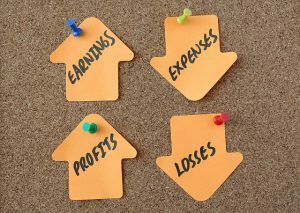 You can collect valuable finance tips from your own business by studying your financial statements from prior years. This helps you identify both strengths and weaknesses. Look for ways to save money on expenses and increase revenue. Study patterns, such as times of year and even days of the week when sales go up or down. Understanding how your business performed in the past helps you make better decisions in the future. While it’s typical for businesses to pay taxes quarterly, this isn’t always the best option. You may find that it’s more convenient to make monthly payments. This makes your tax payments smaller and easier to manage. They turn into another monthly bill rather than a larger expense you have to face quarterly. If you’re in the habit of handling your finances in-house, it may be time to outsource some of these tasks. If you don’t have the background or expertise to understand and manage financial data, you might be making your life more difficult than it needs to be. Finding the right expert can be a powerful finance management solution that saves you money in the long run. Another way to get help with your financial issues is invoice factoring. This allows you to get paid now for your invoices and continue to have positive cash flow. Riviera Finance has been helping companies maintain cash flow for more than 40 years.